Bullseye Archery is a small club based in the Toronto, Canada area. The club's head coach is Joan McDonald. She is assisted by several other coaches and lots of help from more experienced archers. We instruct and coach archery at a wide variety of levels from beginners to archers near the top of the world ranking. We focus exclusively on recurve archery. In the summer, we train at the E.T. Seton Park Public Archery Range. During the winter, we train in a couple of school gymnasiums. 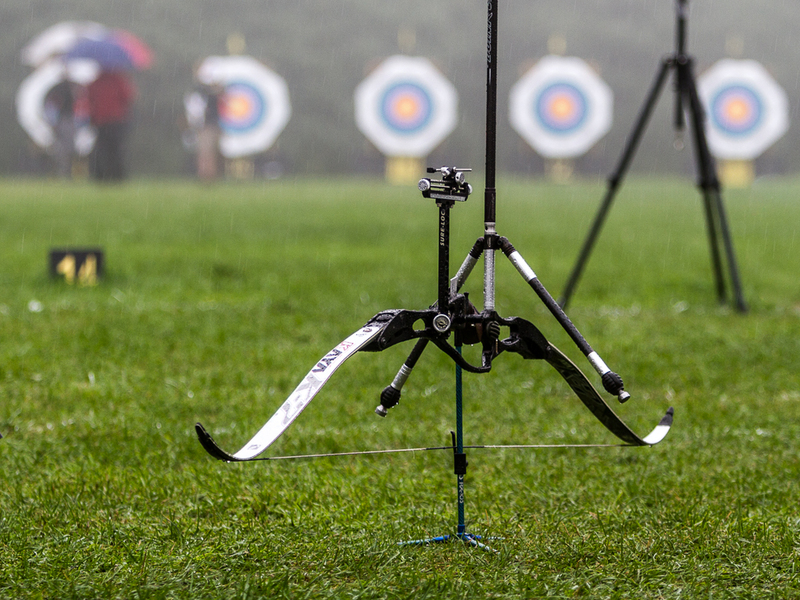 A bow awaiting its archer at the 2013 Canadian Target Archery Championships.